This beautiful little white cotton blend batiste dress is made by Will'beth, a leading designer of beautifully detailed children's clothing for more than 30 years. 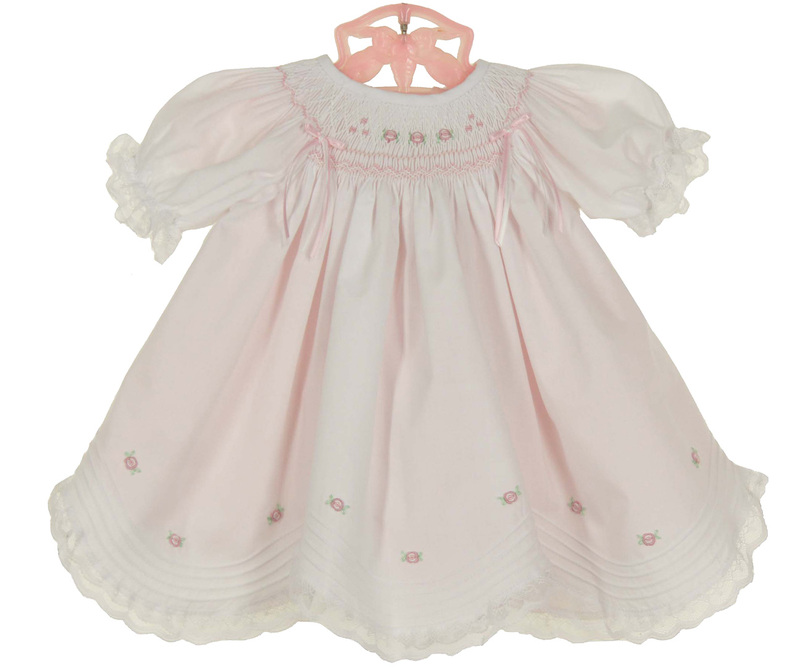 It features a bishop smocked yoke delicately embroidered with pink rosebuds and tiny bow accents, a simple round neckline and short puffed sleeves finished with lace edged elasticized ruffles. 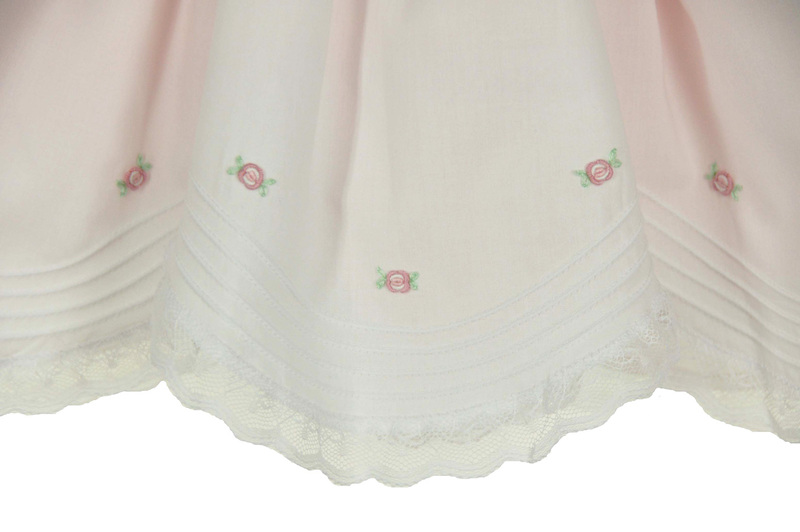 The scalloped hem is beautifully detailed with rows of tiny pintucks and pink embroidered rosebuds. The dress comes with a separate pink sleeveless bishop style slip dress that can be worn alone as a darling summer sundress or little nightgown. The dress closes in the back with three small buttons. 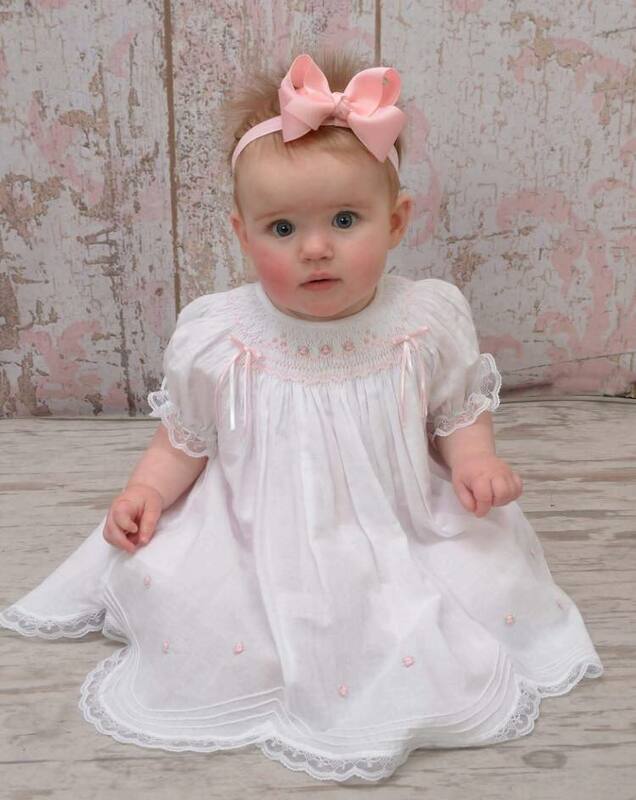 The perfect portrait dress, take home dress, or special occasion dress for your baby girl! Size 3 months bishop shoulder width=6½"